Christmas is the season for giving, specifically gift giving, but sometimes it’s hard to come up with 50 different gift ideas for that aunt you rarely see, or that second cousin who’s name you keep forgetting. If you’re struggling to think of the perfect present for a hard-to-buy-for friend or relative this Christmas then look no further. We’ve assembled a shortlist of 7 must-have mobile accessories this Christmas... that won’t break your budget. Looking for the right pair of headphones to use while running or working out in the gym? 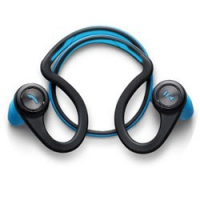 Plantronics BackBeat Fit Bluetooth Headphones offer up to 8 hours of battery life, are sweat-proof, and come with on-ear controls that let you keep moving while changing tracks or taking a call. Connecting seamlessly to your smartphone via Bluetooth, these ear buds are compatible with both Android and iOS devices and produce a clean, crisp sound that will see you through the most demanding of workouts. If you love adventuring, but also having your phone close at hand, the SolPro Helios charger offers the best of both worlds. This portable solar charger can be used to charge your smartphone or tablet device while hiking in wilderness, but is also compact enough to fit in your jacket pocket. 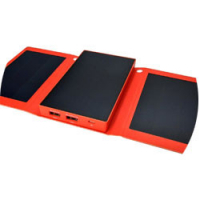 Measuring just a bit bigger than a smartphone when folded up, and weighing in at just over 0.2 kgs, this portable charger contains three thin high-performance solar panels which can be folded out to charge up to two mobile devices at once. The charging process takes up to 4.5 hours, so you’ll have plenty of time to admire the wilderness while you wait. 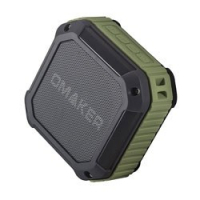 If you need a backing track while singing in the shower, or just want to listen to some tunes in the bath, the Omaker M4 Portable Bluetooth Speaker is the right sound system for you. With a battery life of 12 hours, this small, (waterproof), speaker is ideal for anyone who likes using their bathroom to it’s full acoustic potential. Omaker says their speakers can handle the occasional splash, but recommends you avoid submerging them in water. 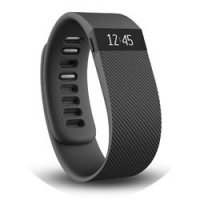 The Fitbit Charge Wireless Activity Sportsband lets you track your daily activity, including steps taken, minutes active, and calories burned, with the results sent straight to your mobile device. You can access your exercise stats using the Fitbit app, and call notifications can be sent to your Fitbit if you’re away from your phone. Keeping in shape has never been easier. 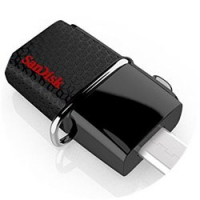 The SanDisk Ultra Dual USB drive is a flash storage drive with a regular USB connector on one side and a micro USB connector on the other, allowing you to easily transfer whole movies, audiobooks, or music libraries from your computer to phone in just seconds. With transfer speeds of up to 130MBs per second, it’s also possible to play movies on your phone directly from the drive, meaning you don't have to fill up your phone's limited storage. While camera quality in phones has increased substantially in recent years, a clip-on lens is a great tool to help you take your photography to the next level. 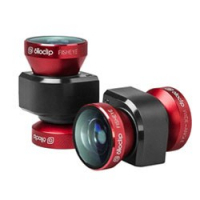 The Olloclip 4-in-1 lens system is one of the most popular smartphone lens options, and it comes with a selection of wide angle, fisheye and macro lenses. Olloclip also allows your iPhone to take a variety of close-up shots or extreme wide-angle photos, while still being small enough to slip into your pocket. 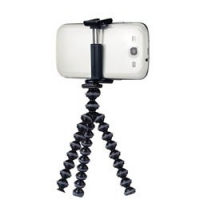 If you’re trying to get creative by using time-lapse photography, or adjusting shutter speeds when taking photos on your smartphone, then you’ll probably need a tripod to keep it stable. The Joby GripTight GorillaPod lets you secure and stabilize your smartphone anywhere, by clamping it onto a nearby object or bending the adjustable tripod legs to take that perfect shot.